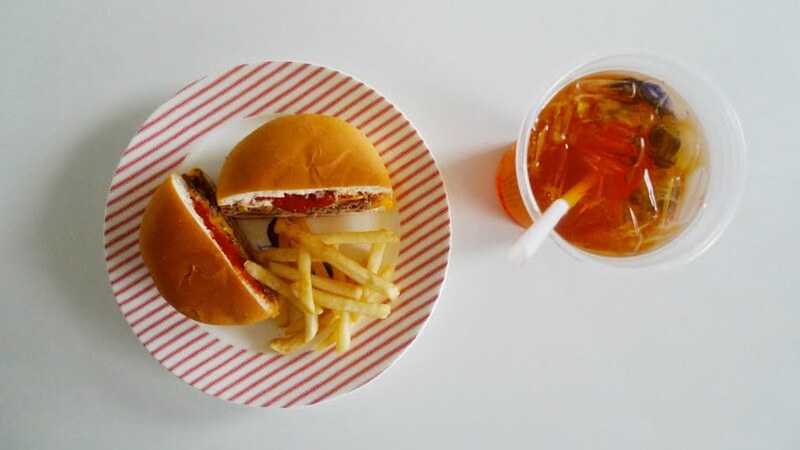 Double cheeseburger, fries, ice green tea. Forcing mum to share half of the burger with me so as to feel less sinful. Hehe!